The KanROLL series includes an abundance of ground-level equipment incorporated into the structure design. Children of all abilities have greater access to activities that challenge and feature motion; aiding in the the development of their senses. 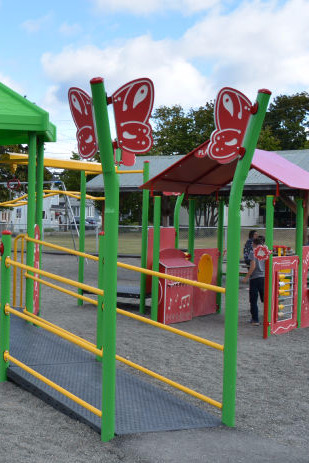 Ground-level equipment also allows for more social interaction with other children, while engaged in mutual activities designed for all children to use. Manipulative play panels that include musical elements or games like Tic-Tac-Toe can be enjoyed by all children and family members.